The second leg of our road trip, we made it to Destin just in time for my cousin's twins' birthday party. I don't have any pictures, but it was at a cute little pizza/game place and the kids had loads of fun (however, I think anything would have been considered "fun" compared to sitting in a car for 8 hours). They even got to pet an alligator (only in Florida). The next morning, we woke up for church and then had some beach time with my cousin and her darling family. 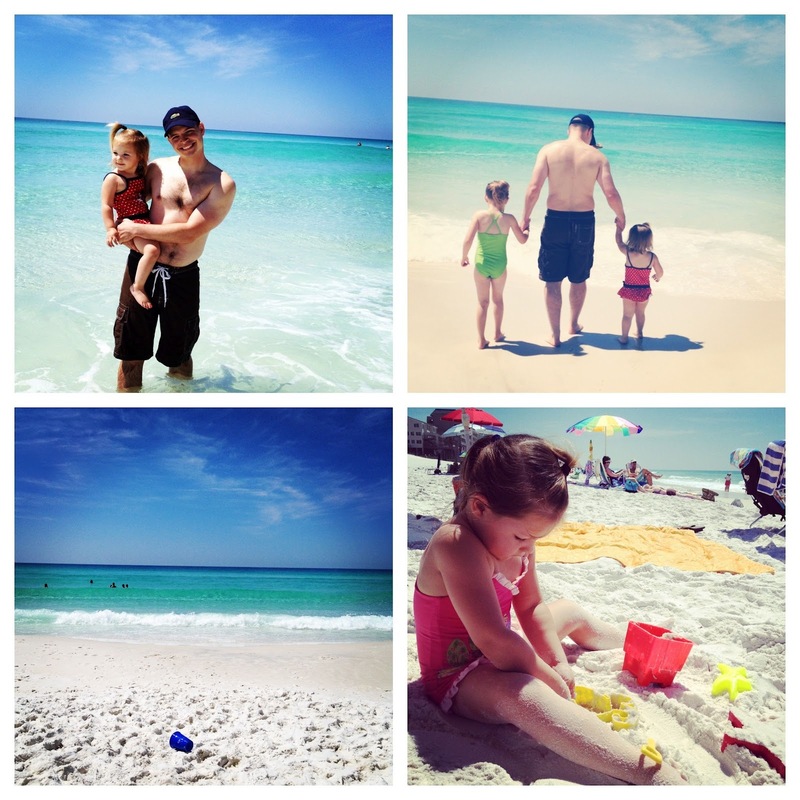 Destin is one of the prettiest beaches I've ever seen. The sand is so white, the water so clear, and the waves are huge! Here's a few I snapped with my iPhone...of course, I'm in hardly ANY of our vacay pics....I guess that's the life of a momma. I think I'll have to split the whole Disney part into two posts. There are a lot of pictures and I want to devote the time that it deserves...princesses, beaches, and food, oh my! *By the way, I was featured over here on The Daily Dani...be sure to check it out!